Your Social Security Card is your draft card. Social Security cards are the modern draft card. 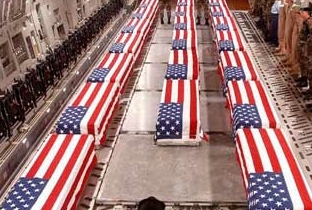 It is consistent with the dogma of "Military Socialism" preached by Rev. Francis Bellamy, author of the Pledge of Allegiance and the father of flag fetishism. Francis Bellamy and Edward Bellamy wanted of of society to mirror the military system. Dog tags and draft cards (social security cards) and dog tags are like another form of involuntary tattooing. People used to burn their draft cards. But they aren't burning their draft cards any more. Your social security card is already your de facto draft card, and it will be so in the future (as well as serving other horrid purposes, in addition to the horrid purposes it already serves). Only Libertarians still stand up for freedom. 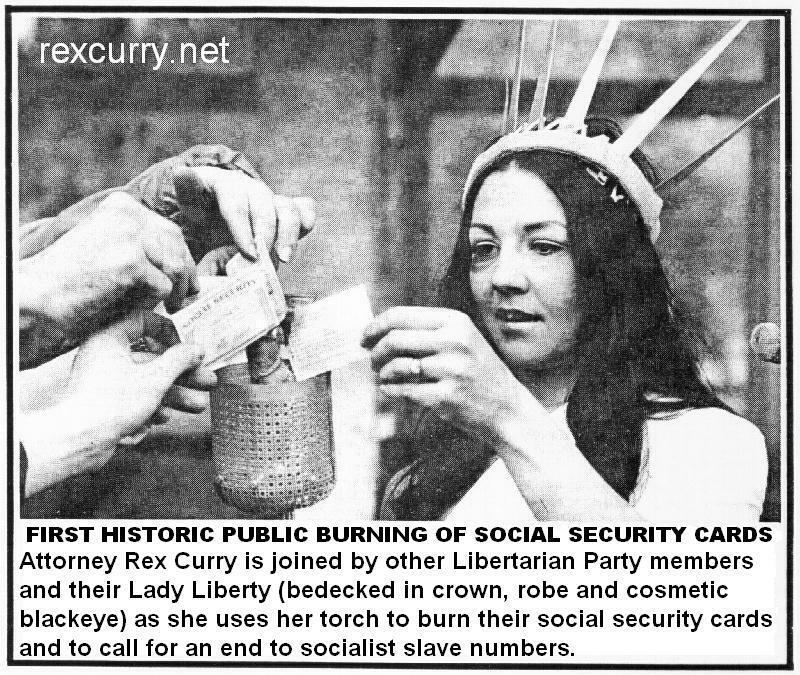 Libertarian Rex Curry made history as the first person to burn his social security card in public and the famous photo is at http://rexcurry.net/SSNburning6.jpg Join Libertarians nationwide to end the social security scam and to end your socialist slave number and see http://rexcurry.net/SSNall.html for anti-draft paraphernalia including: Socialist Slave T-shirts (see photo), bumper stickers, labels, Socialist Slave tattoos, photo contests, Social Insecurity Cards, social security toilet paper and more. Historically, campus activism was famous for things like burning draft cards. Today, it is sad to see that the people who used to burn draft cards are now people who love their draft cards (their socialist slave cards) and they will not burn them, and the people who opposed burning draft cards also love their socialist slave cards and will not burn them. Today the usual campus inhabitant not only doesn't want to burn his socialist slave card (his de facto draft card), he seems irritated at anyone who even criticizes the card/number. Worse still, he/she seems irritated at anyone who points out that the socialist slave card/number is the most socialistic and non-libertarian aspect of his life, until the end. (including the non-working wealthy) in order to create widespread and institutionalized poverty and dependency and financial disaster.